Eric Bailly is set to miss the next two to three months of the season with an ankle injury, Jose Mourinho has confirmed. The center-back has struggled with injuries this campaign, and picked up his current blow while on international duty with the Ivory Coast. His last appearance in a United shirt was in the 1-0 defeat to Chelsea on the 5th of November, having only just returned to the side two weeks earlier from a previous injury lay-off. However, this time, the injury is far worse than initially expected, and Mourinho had recently admitted that he feared Bailly would be forced to have a surgery on his ankle. The Portuguese confirmed those fears are now a reality in his press conference ahead of United’s visit to West Brom on Sunday. 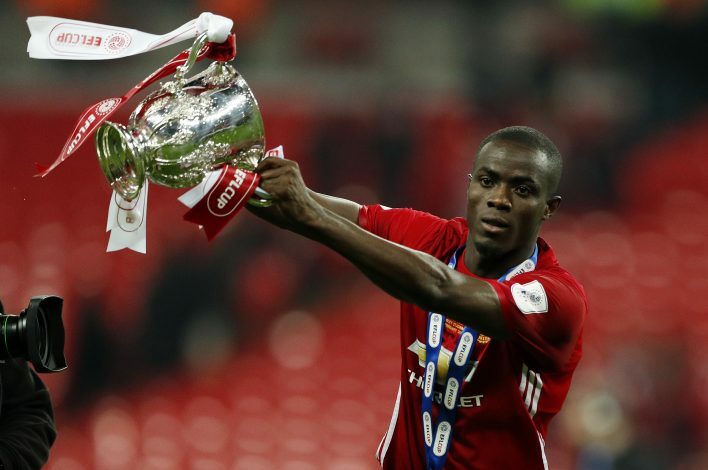 Bailly is probably United’s best central defender, and losing him just before the squad’s most physically challenging period of the season will be a massive blow. Mourinho’s men have fared well without him though, with Chris Smalling proving to be a more than a capable replacement at the back and Phil Jones also returning from injury. Victor Lindelöf endured a torrid start to his Old Trafford career, but he seems to be adjusting to the Premier League well, and has seen an upturn in his form of late. Marcos Rojo is also available, so United should be able to manage without Bailly, but they will hope to have him fit once the knockout rounds of the Champions League begin in late February.